I am looking for a simple Linux software to organize photos. What exactly I want to do with this application is the following: I want to view all images in a given folder and just tag/star/mark some of them with by simple key pressing or a simple mouse click. No menu, not complicated 10-mouse click journey, just ONE key pressing/mouse click and on to the next image. After I have selected a couple of images that way, I want them moved to another directory. Is there such a simple application? The simplest photo viewer I've found that shows folders is geeqie. Not the answer you're looking for? 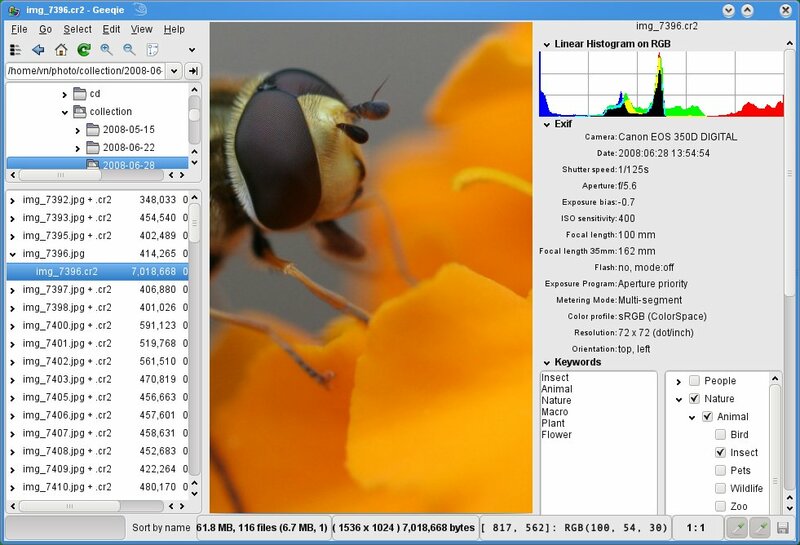 Browse other questions tagged software-rec images file-manager or ask your own question. Linux software for taking verbal notes?